Ulusaba has 20 rooms and suites spread over two lodges: Rock Lodge, including the beautiful Cliff Lodge, and Safari Lodge. Nearly 500 metres away is Safari Lodge which has 10 rooms, including our Safari Rooms, Elephant Rooms, River Rooms and the private Treehouse Suite and Safari Suite. Built along the banks of a dry riverbed, Safari Lodge guests cross swing bridges between the exquisite tree house style rooms. For the ultimate experience, guests can share their time between both lodges. Ulusaba can be hired exclusively! Whether for a milestone birthday, anniversary, company retreat or just a time to get away with friends and family, Ulusaba is the perfect setting. You can hire either one or both lodges and you’ll have access to all the privacy, and flexibility that you desire, as well as your own game vehicles, Rangers and Trackers. 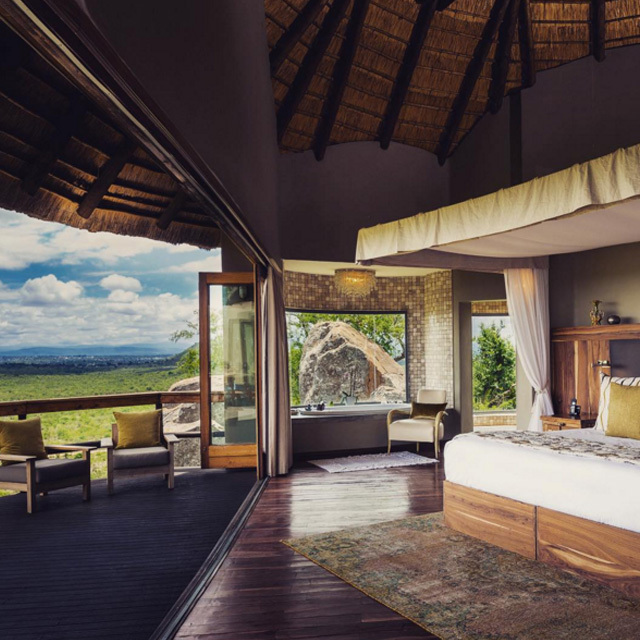 Your stay will be uniquely tailored; perhaps cocktails at sunset followed by tribal dances around a bush campfire or a safari themed child’s birthday party… Whatever your preference, the Ulusaba team will ensure an unforgettable African safari experience. Rates are quoted per person, per night and are priced in South African Rand (ZAR). Your stay at Ulusaba includes accommodation at one of our lodges, twice daily game drives plus all meals and drinks including a top quality wine list and sparkling wines. Your mini bar will be restocked daily with drinks and snacks just in case you’re peckish! Our rates also include road transfers from our private airstrip to the lodges and all local taxes. International flights and domestic flights to Ulusaba’s airstrip are not included. Safari Lodge can accommodate 20 guests sharing 10 rooms, and Rock Lodge can accommodate between 20 and 25 guests sharing 10 rooms and suites. Cliff Lodge can accommodate up to 5 adults and 4 children and can be hired independently for smaller groups and families. We can accommodate extra adults and children in some of our rooms on fold-out or rollaway beds. In some cases there will be an additional charge of ZAR 2,550 per person, per night. There are restrictions on the number of guests and vehicles allowed in the Sabi Sand Reserve, so there may be times when we’re unable to accommodate extra guests in rooms. Cliff Lodge 1 and 2 can be booked individually 4 months prior to arrival. Cliff Lodge 1 can sleep up to three adults and two children, Cliff Lodge 2 can sleep up to two adults and two children. When hired exclusively enjoy your own dedicated game vehicle and a chef to prepare all your meals. While you have your own space and leisure facilities, of course you are welcome to enjoy those at Rock Lodge too! If you would like some more information about hiring camera equipment whilst staying at Ulusaba, please look here for more details. Ulusaba Private Game Reserve is located in the western sector of the Sabi Sand Reserve, near Kruger National Park in the Mpumalanga province of South Africa. South Africa is served by direct flights from the UK and other major European hubs, with flight times to Johannesburg of between 10½ and 11½ hours depending on your point of origin. From the US there are direct flights from the East Coast, with flight times of roughly 18 hours. Ulusaba is approximately a 1 hour and 20 minute flight from the international airport in Johannesburg (JNB) flying by twin-engine aircraft, or 30 minutes from Nelspruit (MQP) and 20 minutes from Skukuza (SZK), via a charter air hop, which are the best airports to use if travelling from other destinations within South Africa. We have our own private Ulusaba airstrip (ULX) and there are daily scheduled and charter flights available. Get a window seat - the view’s terrific! You can also come by road too from Nelspruit, which will take about 2 hours and 30 minutes. Try and arrive by 1pm - just in time for lunch! Travellers from the US and the EU do not require a visa to enter South Africa, but you must have at least two blank pages in your passport on arrival. Your passport should also be valid for at least 6 months beyond your intended return date. Travellers from other countries may require a visa, so please check with your nearest South African Embassy or Consulate. If you’re planning on visiting one of our South Africa properties you need to be aware of some changes to South Africa’s immigration rules. This will affect everyone who has children 18 years and under when travelling to or from South Africa (with or without their parents or guardians). Further information can be found on the Department of Home Affairs website or the UK Foreign and Commonwealth website. Children of all ages are in great hands at Ulusaba and very welcome to stay at Rock Lodge. Unfortunately we can’t allow infants or children at Safari Lodge. As infants are unable to go on game drives they are very welcome to join our kids programme at Rock Lodge called Cub’s Club. Each infant is entertained with treasure hunts, games, books, DVDs and lots more. Babysitting is also available free of charge. Children over the age of 6 can go on game drives with their parents or a guardian but are unable to participate in safari walks. Special food and beverages or simple snacks and light meals, such as sandwiches, can be prepared. Infants stay free of charge provided they share with at least one adult. Can I get married at Ulusaba? Of course! Elope to the Bush or plan a big event with all your family and friends. We’ve thought of everything to make it the most magical wedding possible – what better place to tie the knot?! Please ask about one of our packages, or our team can happily create a custom-made wedding for you. If you can’t get married here, include Ulusaba in your celebration and visit us on your Honeymoon! Can I hire Ulusaba exclusively? Absolutely! Whether it’s for a birthday, anniversary, wedding or just a great opportunity to experience a safari with family, friends or colleagues, the Ulusaba team are on hand to cater for all requests. You have the choice of hiring one of the lodges separately or both the lodges together. Please ask us for more details. What’s included at Cliff Lodge? Cliff Lodge has two suites which are perfect for smaller groups and families. Located just a short stroll away from the Main House at Rock Lodge, Cliff Lodge 1 is a spacious two bedroom suite with one large bedroom and 2 small pull-out beds, as well as a second smaller bedroom which can accommodate one adult and two small children. The suite features a private swimming pool, gym and mini Aroma Boma Spa. Cliff Lodge 2 is a spacious one bedroom suite with a large lounge area and outdoor viewing deck with plunge pool. When you hire both suites for exclusive use you will have your own chef and private vehicle for game drives. Cliff Lodge can accommodate a maximum of 5 adults and 4 children when booked exclusively. How about cash? What is the currency? The currency in South Africa is the Rand. Get your currency before you leave home or visit an exchange centre in the major towns and cities. There are cash machines at the airport and most cities normally accept most major cards. 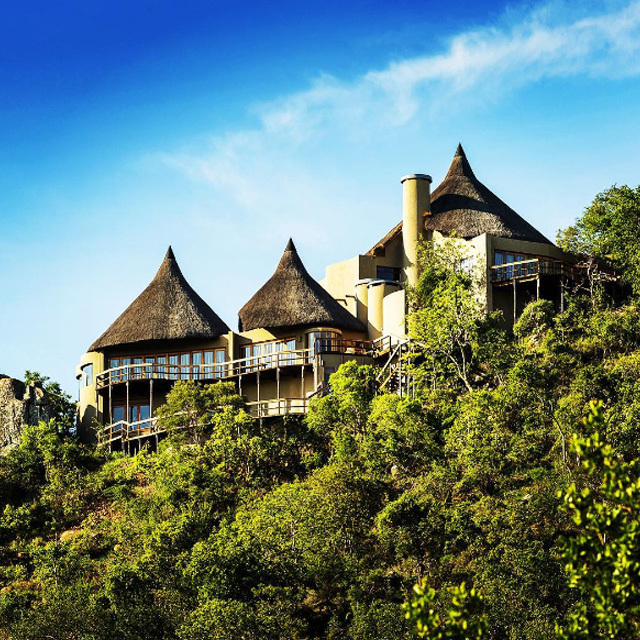 You generally won’t need cash at Ulusaba as almost everything is included in your room rate. You are welcome to pay in cash for any extras such as souvenirs from the gift shop or beauty treatments, or we can just charge these to your room. We accept all major credit cards to cover any additional expenses you may incur. Tipping is entirely up to you. If you have any questions about tipping, you can discuss this with your lodge manager. When is the best time to visit? What will the temperature be? Whenever you like. The landscape changes with every season, so each visit will give you a different perspective on the African Bush. Summer in the southern hemisphere is from October to April, when the daytime temperature averages 34˚C/93˚F. The weather is glorious, the vegetation lush and the nights warm. In winter (May to September) the days are warm and sunny with an average daytime temperature of 26˚C/79˚F, and the nights are cool and crisp. Game viewing can be very exciting in winter as food and water become scarce due to the dry weather. As the animals get desperate, you’ll see them compete for food. Age-old enemies such as lions and hyenas prepare for battle. 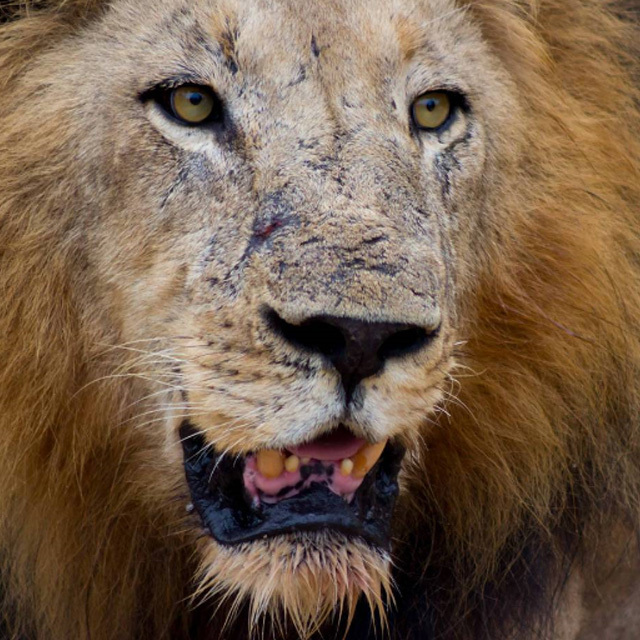 It’s the survival of the fittest – nature at its wildest. A GCC is a Guest Conservation Contribution of R115 per person, per night that will be added to the rates for your stay at Ulusaba (this also applies to all lodges in the reserve and includes 15% VAT). This charge goes directly to the Sabi Sand Conservation Trust and will assist in the funding of our anti-poaching and conservation efforts to secure the long term survival of endangered and compromised animal species. Yes. Every room has air conditioning that you can adjust to your own comfort level. There are also ceiling fans in every room. For game drives, you should wear pale or neutral colours. In summer (October to April), these should be lightweight, but take a windbreaker or light jacket for evenings. In winter (May to September) take a jumper/sweater, fleece or warm jacket too. Trainers/sneakers are fine for safari walks, and it’s a good idea to bring a hat and sunglasses – for all seasons. You can wear whatever you like around the lodges and dining rooms. Formal wear isn’t always practical, but of course it’s up to you. Make sure you don’t forget your swimsuit. Do I need to take precautions against malaria? The Mpumalanga province, including the Sabi Sand Private Game Reserve, is in a malaria endemic area so it is very important to seek advice on appropriate precautions before you travel. During your stay it is still important to cover up with insect repellent. We provide an excellent one in your room, but bring your own stick or roll-on repellent to take out on game drives and for when you first arrive in Mpumalanga. All rooms have mosquito nets too. Well of course there are the twice daily game drives. One starts early in the morning around 5am and the other leaves in the afternoon at about 4pm. Each drive lasts for approximately 3½ hours. The more adventurous may opt for a walking safari after breakfast to learn about the local plants and wildlife and for some more in-depth knowledge on how to track animals. If you want to take it easy, soak up the sun by the pools, read a book, or relax with a Spa treatment. Energetic types can have a hit of tennis or work out in the gym where the views will take your mind off all that hard work. Others may prefer to go on one of our cultural, wildlife or scenic tours including helicopter trips or a tour of the local community. Can I get involved with work in the community? Yes you can! Ulusaba’s charitable arm Pride ‘n Purpose is committed to helping disadvantaged communities living adjacent to the reserve. Pride ‘n Purpose’s work is achieved both through the provision of basic needs, such as access to food, water and health services, and by empowering communities with sustainable development initiatives. 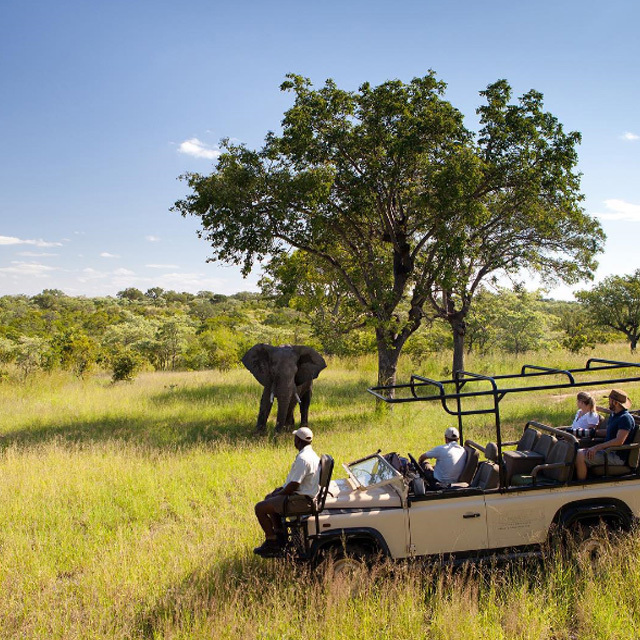 While staying at Ulusaba, you can go on a variety of excursions with all proceeds donated to the local community. Help out at one of the local creches and teach the kids a new song or spend an afternoon visiting one of the many other ongoing Pride ‘n Purpose projects. 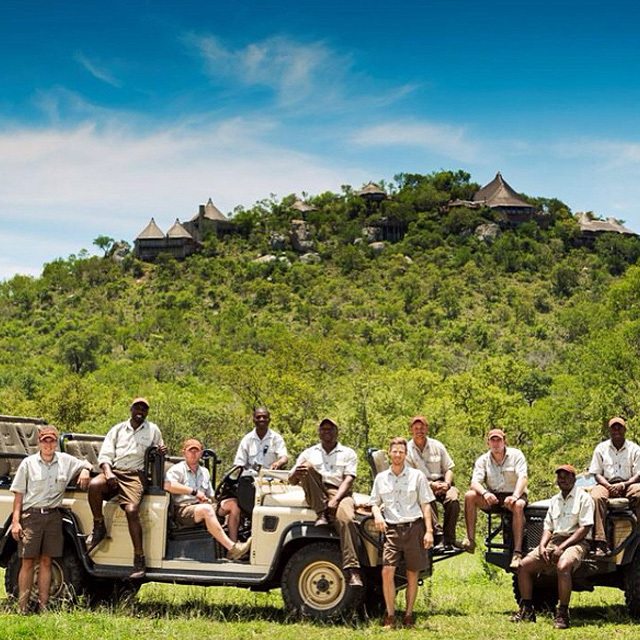 You can now incorporate a volunteering experience into your stay at Ulusaba. Our team will create bespoke itineraries to participate in hands-on projects within the local communities, based around your own skills and interests. Just ask our reservations team for more details. Check-in is officially 2pm. If you want to arrive earlier we’ll make every effort to have a room ready for you, but if not we’ll look after your bags so you can start enjoying yourself. Check-out is officially 11am however we are flexible. Just ask us the night before you leave. aches and injuries, but this will be charged, so make sure you have appropriate travel insurance.